Product prices and availability are accurate as of 2019-04-18 12:38:29 UTC and are subject to change. Any price and availability information displayed on http://www.amazon.com/ at the time of purchase will apply to the purchase of this product. 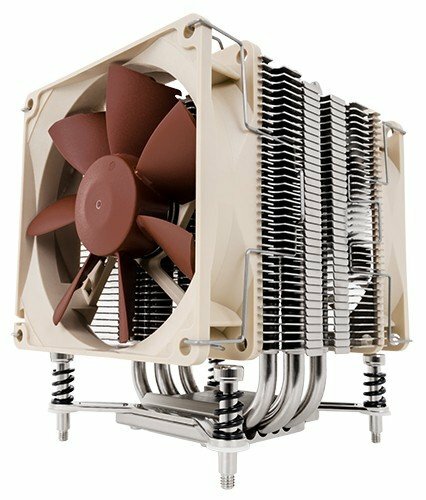 Noctua's DX line of coolers has become a default choice in high performance quiet cooling solutions for Intel Xeon CPUs. 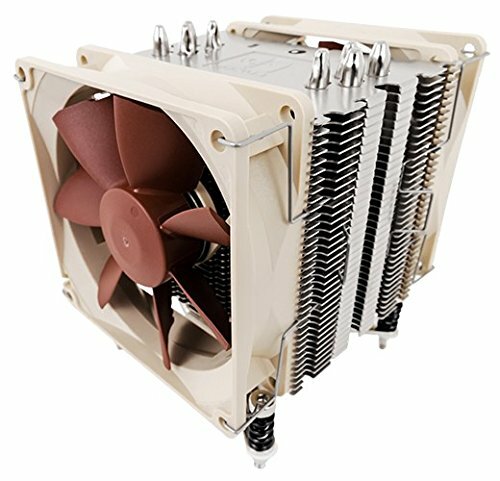 The latest i4 revision supports LGA2011 (both Square ILM and Narrow ILM), LGA1356 and LGA1366 based Xeon platforms and the 9cm model NH-U9DX i4 comes equipped with two of Noctua’s award-winning NF-B9 premium fans with PWM for automatic speed control. 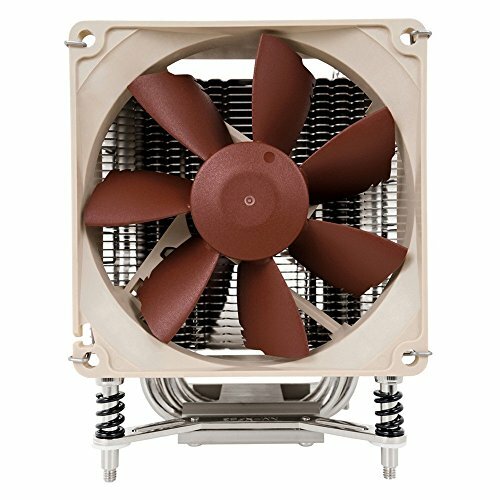 Standing 125mm tall, the NH-U9DX i4 combines outstanding quiet cooling efficiency with full 4U compatibility. Fitted with the professional SecuFirm2™ mounting system and bundled with Noctua's industrial-grade NT-H1 thermal compound, the NH-U9DX i4 forms a complete premium quality package for quietly cooling Xeon based workstations and servers. 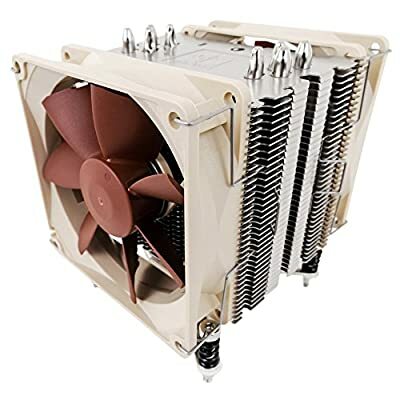 Sporting 4 heat pipes, a surface area of more than 3800cm Squared & 2 premium grade 92mm fans, NH-U9DXi4 provides a significant upgrade in quiet cooling performance compared to common 2U solutions. 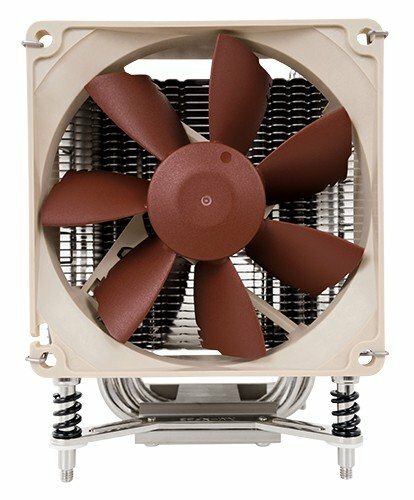 The award-winning NF-B9 92mm premium fan features Noctua's renowned SSO bearing as well as advanced aerodynamic optimizations. In order to achieve its superb quiet cooling capability, the NH-U9DX i4 comes equipped with two NF-B9 fans in a push/pull setup. The NF-B9 92mm fans supplied with the NH-U9DX i4 support PWM for convenient automatic speed control through the mainboard. The maximum fan speed can be reduced from 1600 to 1300rpm using the supplied Low-Noise Adaptors for even quieter operation. Supporting Intel's LGA2011 (both Square and Narrow ILM), LGA1356 and LGA1366 Xeon platforms, the SecuFirm2 mounting included with the NH-U9DX i4 guarantees perfect contact pressure and maximum convenience on all sockets. 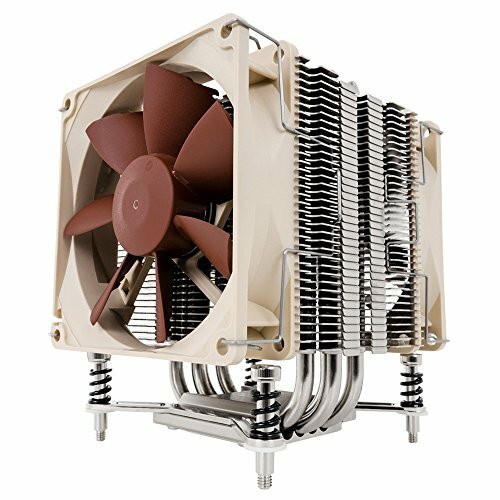 Having received more than 100 awards and recommendations from hardware journalists around the world, Noctua's NT-H1 is a proven professional grade TIM solution that provides minimum thermal resistance, excellent ease of use and outstanding reliability.